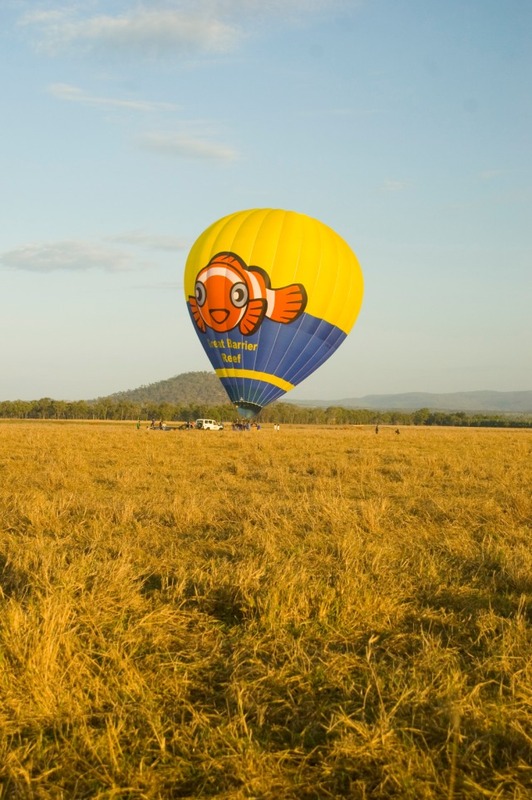 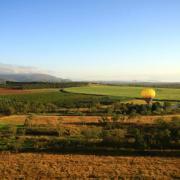 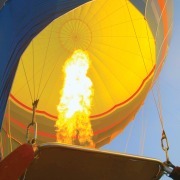 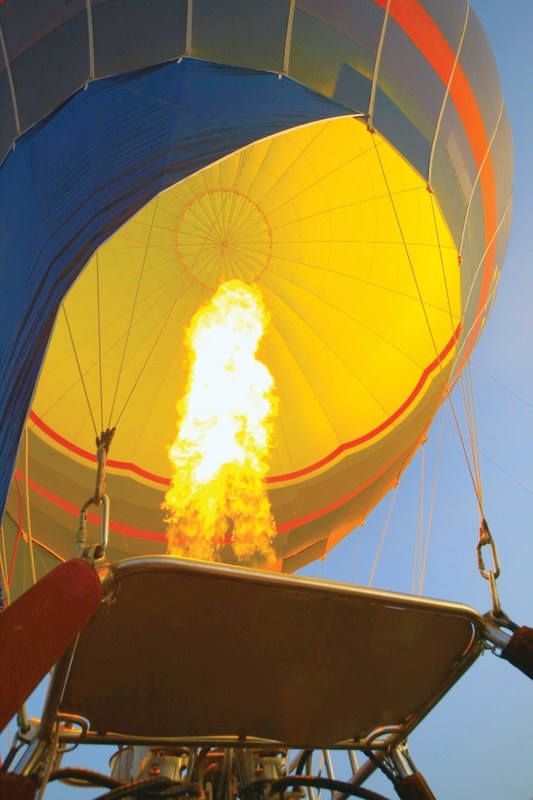 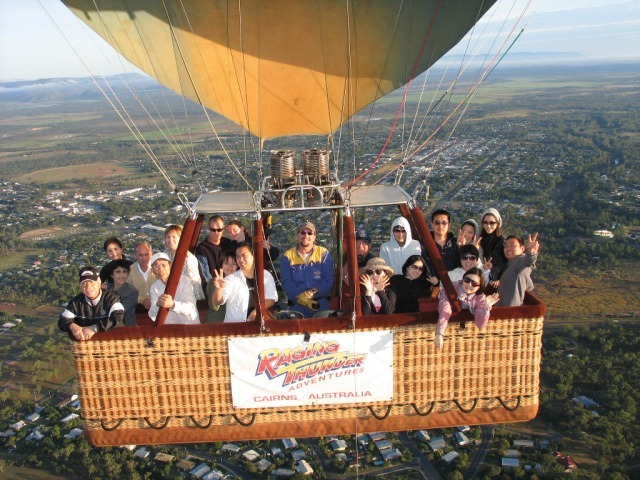 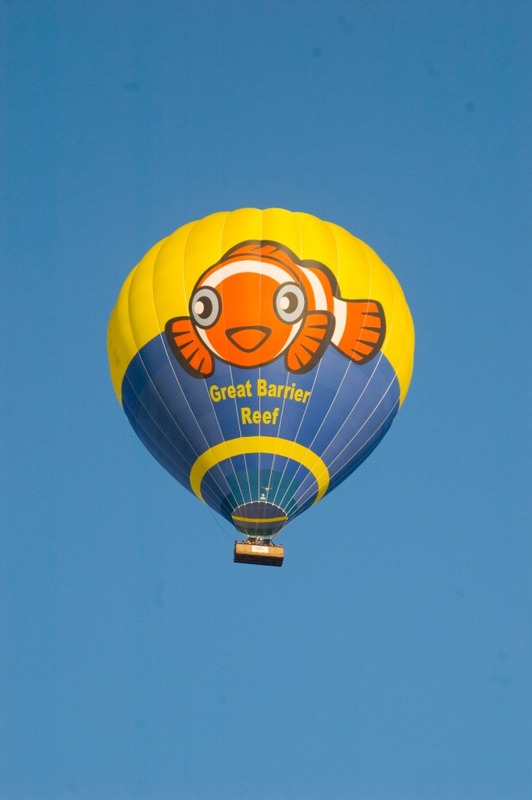 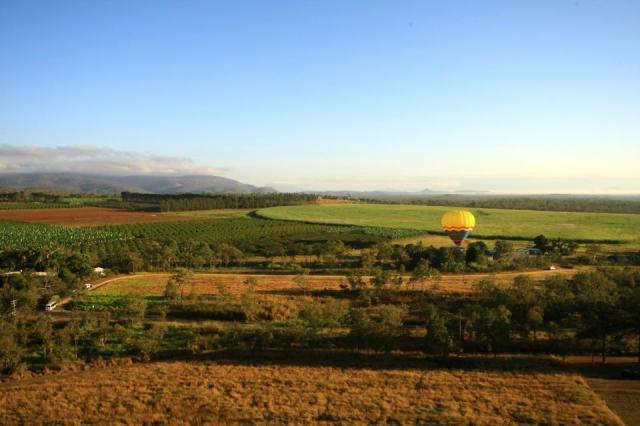 Amazing early morning smooth and tranquil 30 minute scenic hot air balloon flight above the picturesque farming communities on the Atherton Tablelands. 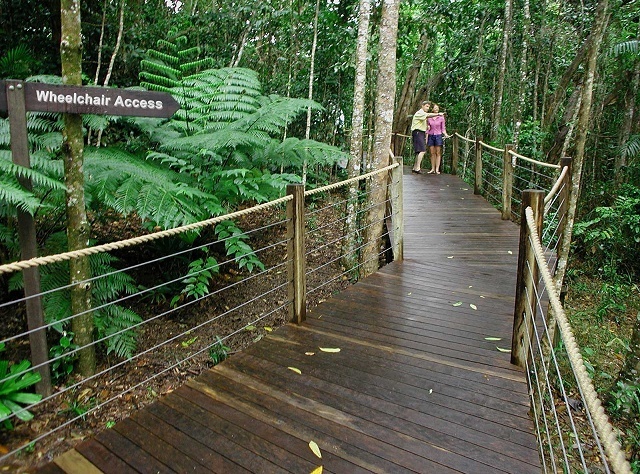 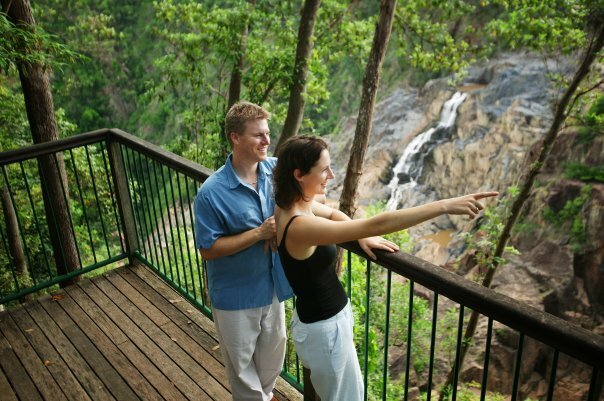 Champagne breakfast catering to all dietary requirements, followed by famous Skyrail Rainforest Cableway with treetop view of the rainforest. 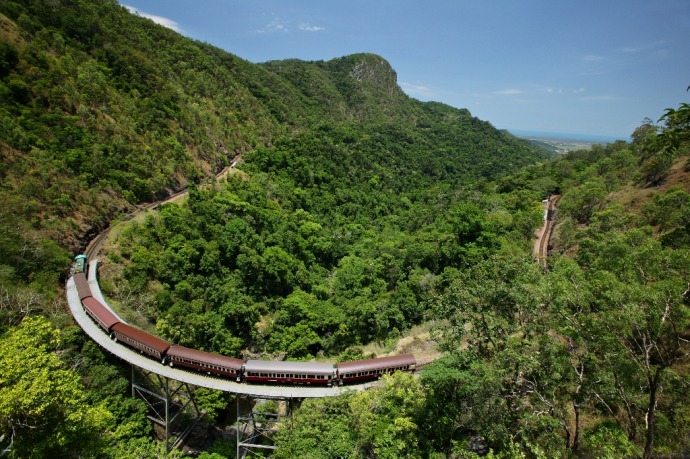 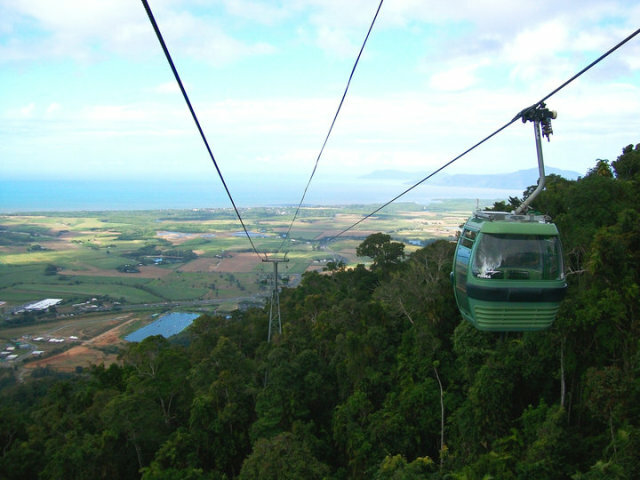 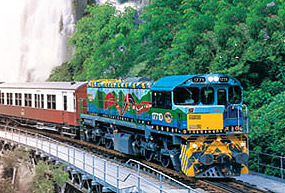 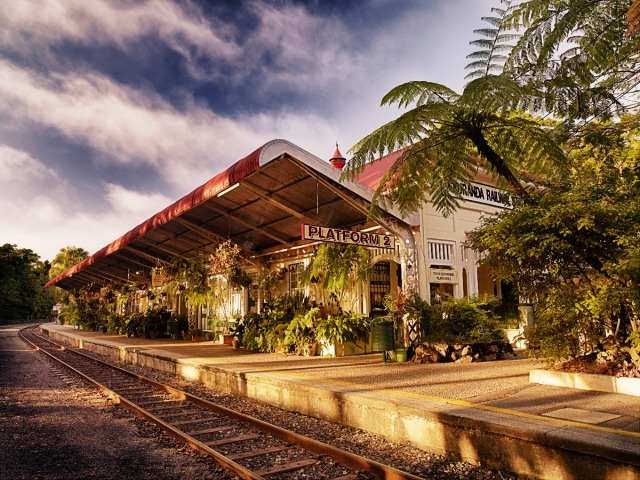 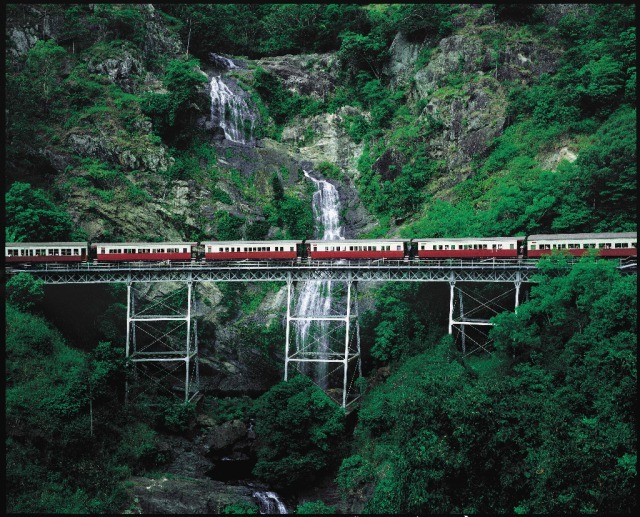 Then, free time to explore Kuranda markets and a relaxed Kuranda Scenic Railway train ride back to Cairns. 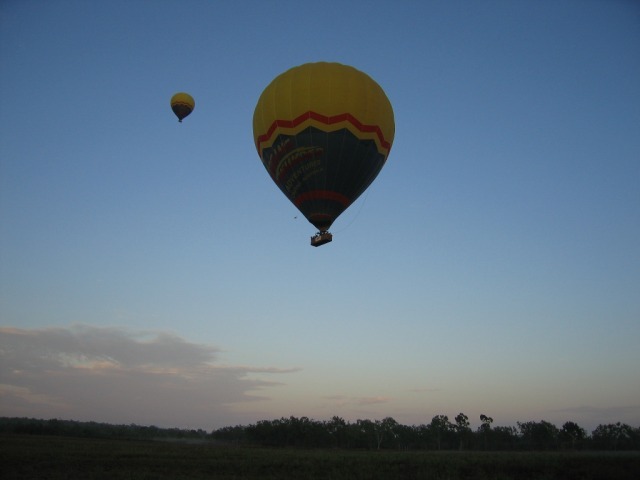 7:50am - Return and landing, pack-up games, breakfast and lots of laughs. 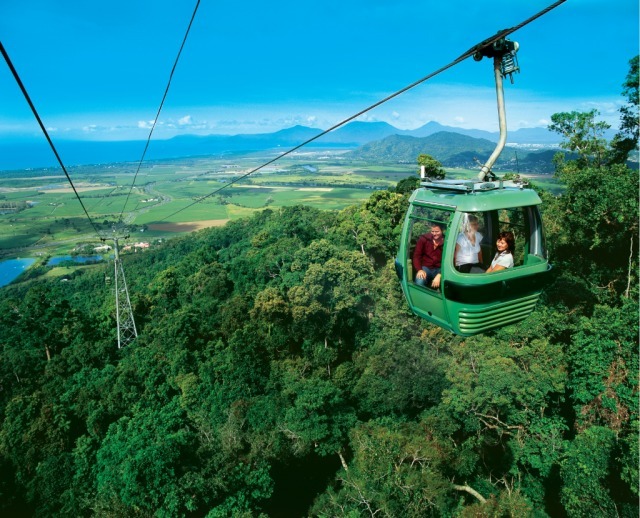 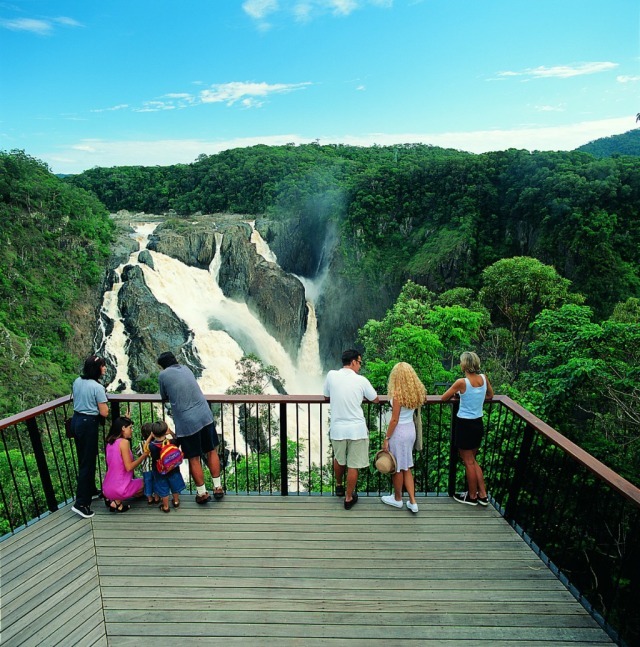 11:30am - Arrive in Kuranda, the village in the rainforest for free time to go shopping and sightseeing and the Kuranda Markets. 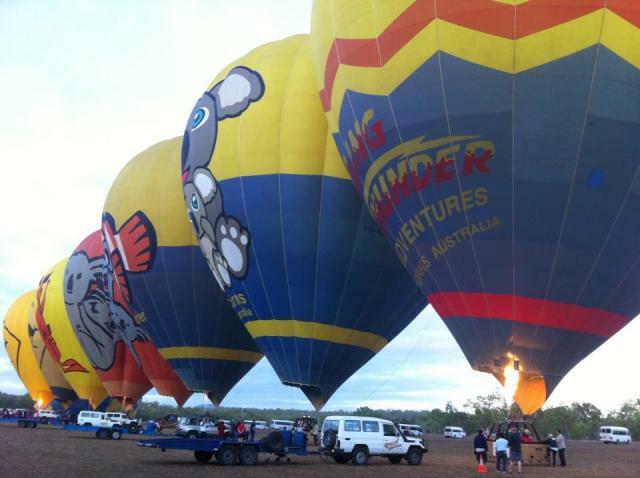 Not suitable for children under 4yrs or pregnant women.